Send a parcel to Scotland with NI Parcels. Cheap, fast and reliable courier services! Whether you’re sending a one-off parcel to a friend in Edinburgh, or if you’re a business owner shipping products weekly to Dundee – NI Parcels can help. We offer cheap and convenient courier services from anywhere in Northern Ireland to anywhere in Scotland, which you can book and pay for online with in minutes. Once you’ve booked, we offer handy door to door collection and delivery, as well as full online tracking for that extra peace of mind. With NI Parcels, your item will arrive in Scotland FAST! We offer same day collections (if booked before 10am) and next day delivery on items sent to Scotland – and our online tracking system lets you monitor the progress of your shipment as it quickly makes its way to its destination. 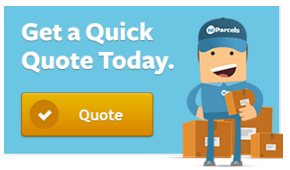 NI Parcels offers £50 free compensation cover on every shipment. You can increase this amount up to the value of £500 during booking, if you wish, for a small additional fee. Before booking your parcel delivery to Scotland, we recommend taking a look at our list of prohibited and non-compensation items. NI Parcels is up to 80% cheaper than booking directly with the courier. We offer delivery services from renowned courier companies, at much reduced prices. Our network of top couriers includes: Parcelforce, DPD, Captain Courier and City Air Express. So you can expect to receive the quality delivery service associated with these great names, but at a much lower price. 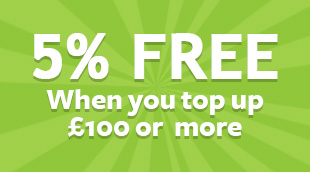 You can get a quote from our homepage at any time to see how much you can save.